【Summary】Now that China has relaxed the 50 percent cap on foreign ownership, Daimler AG is looking to increase its increase its 49 percent stake in Beijing Benz Automotive, its JV with state-owned BAIC Group. A sign at the entrance of the Beijing Benz Automotive factory in China. China is the world' biggest auto market, which is why it is so attractive to foreign automakers. However, up until recently, the Chinese government required that all foreign automakers set up a 50/50 joint venture (JV) with a Chinese partner, prevented carmakers from controlling any Chinese joint venture. 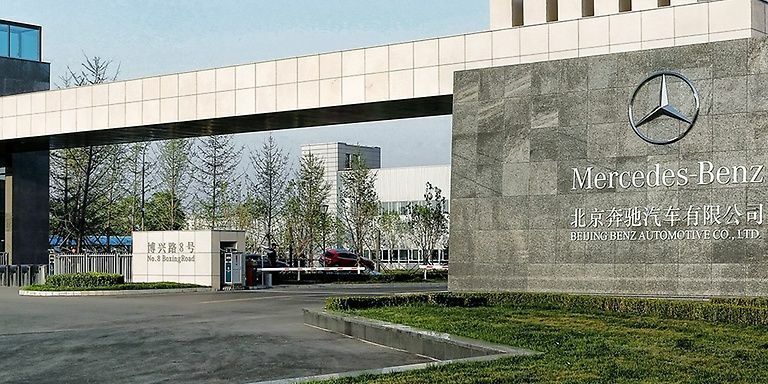 Now that China has relaxed the 50 percent cap on foreign ownership, Daimler AG is looking to increase its increase its 49 percent stake in Beijing Benz Automotive, its JV with state-owned BAIC Group. Daimler's joint venture with BIAC Motors builds vehicles for the Chinese market. Daimler is following its rival BMW, which became the first automaker to take advantage of the new rules, when BMW agreed to buy a controlling stake of its venture with Brilliance China Automotive Holdings Ltd in October 2018. BMW is investing $4.1 billion (3.6 billion euros) to raise its stake in the JV to 75 percent. BMW's controlling stake of Brilliance China will take effect in 2022. Caps on foreign ownership were removed by the Chinese government last year for automakers building fully-electric and plug-in hybrid models. In 2020, limits will be lifted for makers of commercial vehicles such as trucks and buses. In 2022, limits will be lifted for the broader market, which includes internal combustion engine vehicles. 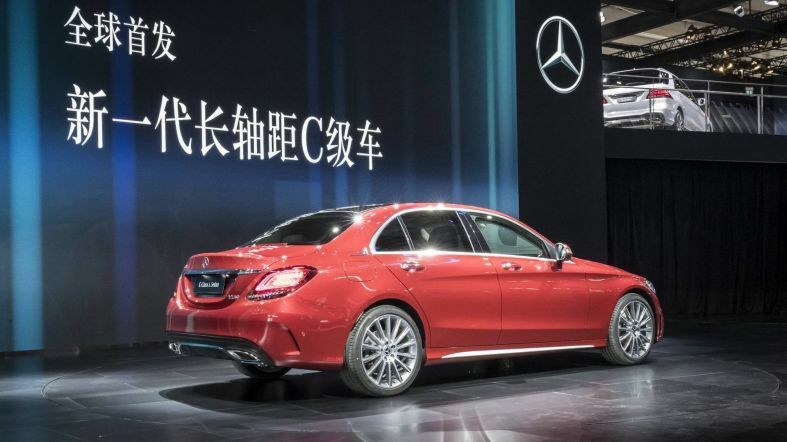 The 2018 Mercedes Benz C-Class is built by Beijing Benz Automotive for the Chinese market. As reported by Reuters, Daimler's negotiations with BAIC are still in the early stages and its plan to increase its stake in BAIC have not been finalized and still might change, according to sources, who declined to be identified as the information is confidential. Daimler holds 30.4 percent of BAIC's Hong Kong-listed shares, representing a 9.55 percent overall stake in its Chinese partner, according to BAIC's June 2018 interim report. State-owned BAIC Group and steel manufacturer Beijing Shougang owns 42.6 percent and 12.8 percent of BAIC through its non-tradable domestic shares, respectively. It is not clear whether Daimler would seek a majority stake in BAIC, which has a current market cap of $4.9 billion. BAIC denied a Bloomberg report in early December that Daimler had raised the prospect of increasing its stake in Beijing Benz to at least 65 percent. Daimler is also setting up a ride-hailing JV in China with Geely Group the parent company of Volvo, Reuters reported in October. Geely bought a 9.69 percent stake in Daimler in early 2018 and demanded an alliance. Daimler also holds a 3.93 percent stake in Beijing Electric Vehicle Co., a subsidiary of BAIC. Beijing Benz Automotive currently builds the Mercedes-Benz E-Class and C-Class for the China market. Daimler sold 653,000 cars in China last year, its biggest sales market in the world.